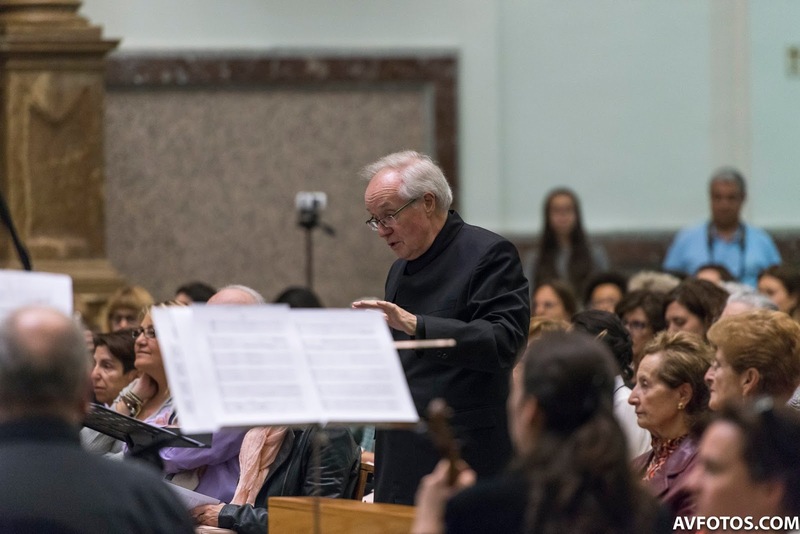 Two weeks ago I took part in a course in Spain, organised by Zenobia Musica around 60 singers from Spain, Germany, the UK and many other places came together for a long weekend to rehearse music from Monteverdi's Selva morale e spirituale with Stephen Cleobury. The resulting concert, on Sunday 23 April 2017, played to a packed and enthusiastic house at the Basilica Jesus de Medinaceli in the centre of Madrid. The choir was accompanied by the Palmyra Ensemble with organ continuo played by Rupert Damerell, director of Zenobia Musica.